Major League Baseball is back in full swing for another season. So that means it is time for A Geek Daddy's annual list of my favorite KIDS CLUBS sponsored by MLB professional teams. Whether you are looking for a way to get a kid engaged with a team to cheer on through the season or want something to give children as a memento of attending a game at the ballpark without paying stadium souvenir stand prices, a KIDS CLUB could be just what you are looking for. Twenty-six of the 30 MLB teams have official Kids Club programs. These range in price from FREE to more than $50 dollars. Newsletters, birthday cards and other special perks sent out by Kids Clubs are a great way to keep children enthused about a team throughout the year and build a connection with the franchise. Some of the programs offer fun swag that can be picked up at the stadium making for great souvenirs or can be mailed to families which make for great birthday gifts for young baseball fans. 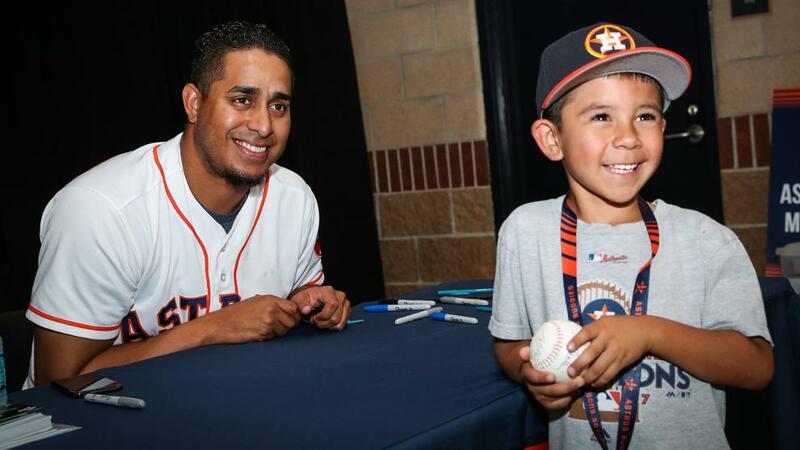 Kids Clubs can be really great for enhancing a child's fan experience with a baseball team. Unfortunately, there are also a few teams that seem more focused on pulling money out of parents' wallets than providing a quality product that increases children's interest in the game. With that in mind, I've researched all of this year's MLB Kids Club and compiled a list of seven of my favorite ones for 2019. St. Louis gets A Geek Daddy nod of approval for having some of the most original swag included within their 2019 Kids Club membership Packages. 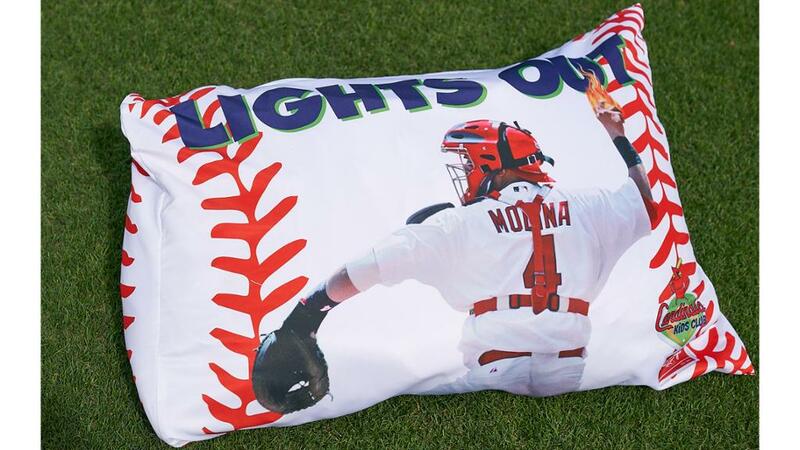 Their team ambassador to the Junior Cardinals Kids Club is catcher Yadier Molina and members receive a lunch box that looks like his chest protector and a pillow case featuring an image of the player with his catchphrase "lights out" regarding how good he is at throwing players out who try to steal second base. 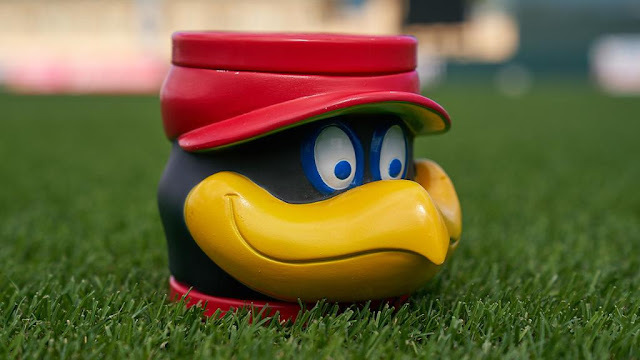 Kids also get a one-of-a-kind mug that is shaped in the likeness of team mascot Fredbird. 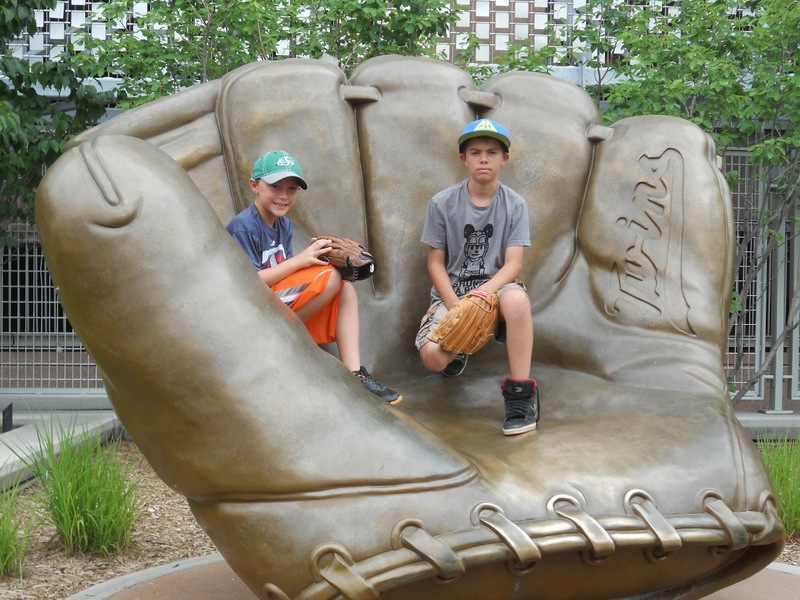 Other benefits of a Junior Cardinals Kids Club membership include free tickets to a baseball game, an invitation to attend a Kids Club Party at Busch Stadium, and admission to a members-only party at The Magic House: St. Louis Children's Museum. Perks also include front of the line priority during Kids Run the Bases after games and 10% off at the Official Cardinals Store. 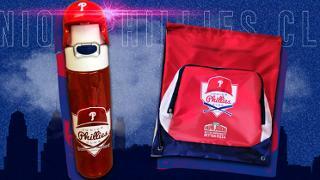 The Phillies Kids Club has some really fun swag they are giving out this year plus it is $10 cheaper than the Cardinals. Their Junior Phillies' members receive a water ball topped off with a batter's helmet along with other fun things to enjoy while cheering on the team. Plus it includes a free pizza from Pappa Johns. The Phillies also have a second membership club for kids that celebrates the Phillie Phanatic. This club costs $15 to join. 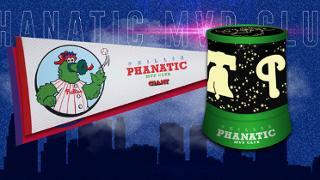 The Phanatic's fan club includes a projection night light and pennant along with a membership card and poster of the team mascot. Other perks include a birthday card from the Phanatic and the opportunity to win prize drawings throughout the season. Philadelphia fans with newborns can also share their passion for the game with their baby through a special club for $40. The Phillies Newborn Club provides moms and dads with personalized Phillies birth certificate, Philly branded pre-walking sneakers, a Rookie of the Year bib, a birthday card from the Phanatic on the child's first birthday, special discount price on tickets to take baby to his or her first game with a photo of the line-up card from that game. This is one way to get a kid rooting for a team at an early age! Kids Club members are invited to exclusive T.C. 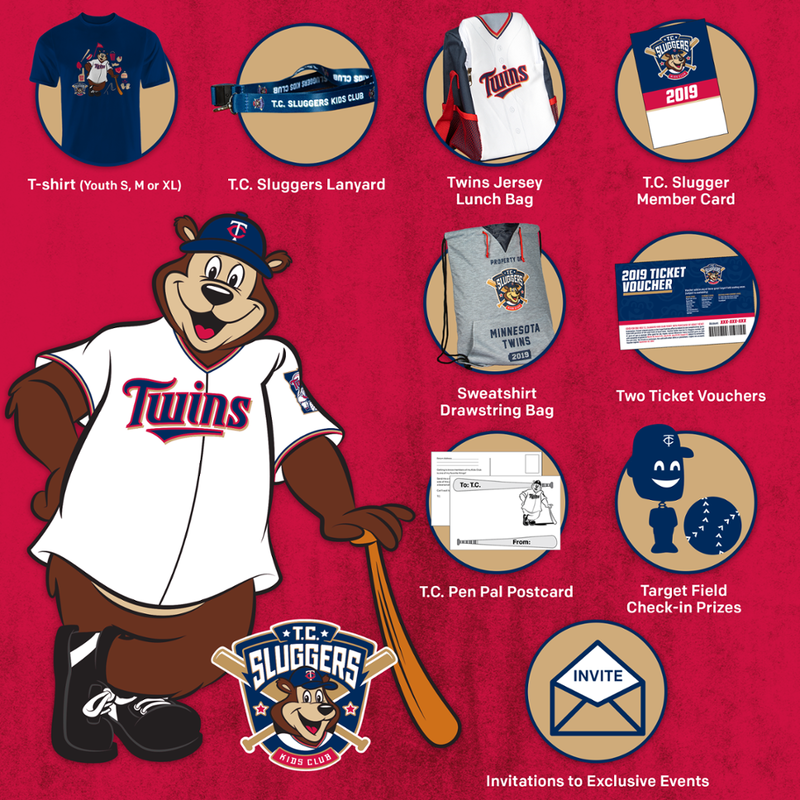 Sluggers events, eligible for check-in rewards at Target Field during Twins' games and receive a monthly newsletter. T.C. Sluggers Kids Club membership also includes vouchers for 2 free tickets to attend a game at Target Field with the purchase of an adult admission. Plus there are opportunities to meet T.C. Bear the Twins' mascot. Of course there is swag that comes along with a T.C. Sluggers membership too! They give out with memberships a draw string backpack made from sweatshirt material. The membership kit also includes a player jersey themed lunch box, a T.C. Bear t-shirt, and a pen pal opportunity with the mascot. Of course the Chicago Cubs have a mascot that is a bear too and they do a great job of branding their Kids Club around it. All of the swag that comes with the membership features a cartoonish image of Clark that exuberates fun. Items include a baseball cap, duffel bag, sunglasses, school supply set, and a Velcro ball toss game. Other perks include a free tour to a Wrigley Field Tour, a complimentary ticket to a Cubs game and 10% off Cubs Baseball Camp enrollment. Members also have a chance to get on the field pre-game and watch players warm-up from the Kids Corral and have fast-pass access to Kids Run the Bases after games are over. There are also two members-only events that take place during the year. Get custom Royals gear made especially for Blue Crew members. All items come in a special SLUGGGERRR'S BLUE CREW box. Swag includes a Charlie Hustle brand t-shirt, a Royal's baseball cap and a special edition SLUGGERR'S BLUE CREW wristwatch. This year in addition to their Kids Club, the Kansas City Royals have also partnered with Scholastic to create baseball themed activities which are educational and entertaining for school aged children. 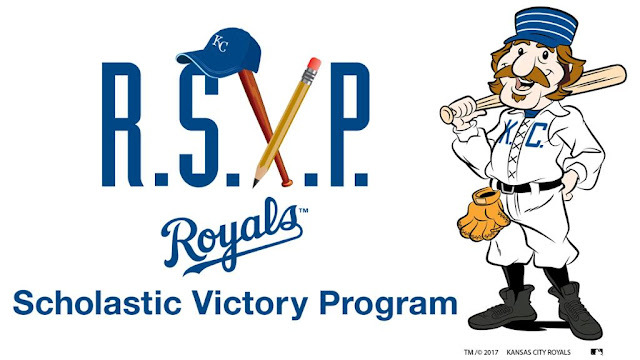 The Royals Scholastic Victory Program (RSVP) includes a one hour tour of Kaufman Stadium and two to three activities that make learning fun. Separate from the SLUGGGERRR'S CLUB, the RSVP program is meant for school groups, community organizations and youth sports teams to participate in. Price ranges from $8 to $10 per child. This innovative program upped the Royals standings in this year's Kids Club review! The Cincinnati Reds always do an excellent job with this Kids Club. The RED HEADS have made this list for several years. This year they've added a new feature that is sure to be a hit for kids! Especially if the experiences I've had with my children at Disney World are a prediction of its popularity. The REDS HEADS in 2019 are distributing collectible trading pins to their members. Not only do these pins look neat but there are also three different sets being distributed among the Kids Club members. So not everyone will have the same REDS HEADS collectible pins. 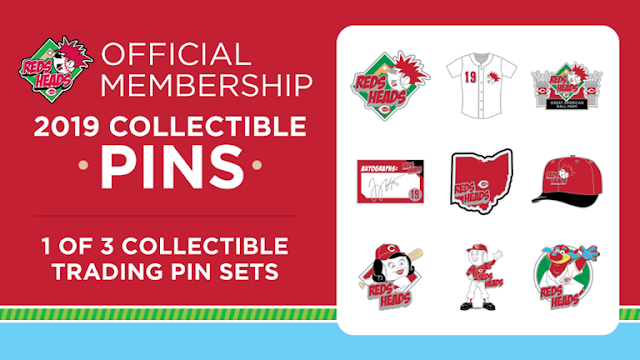 Kids Club members are encourage to bring their pins to Cincinnati Reds games and trade them during the second inning at the REDS HEADS hang out spot in the ballpark. 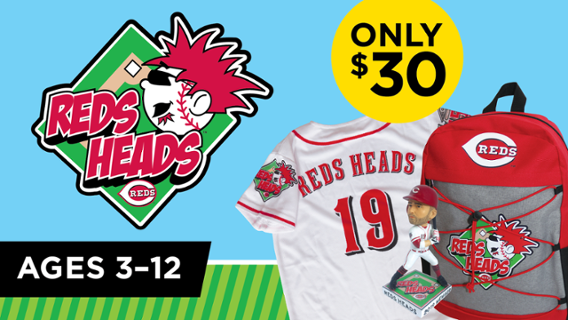 Other swag that comes with this Kids Club membership includes a REDS HEADS jersey, backpack and a Joey Votto bobblehead. Other perks include free tickets to games, ballpark tours and player autograph sessions. 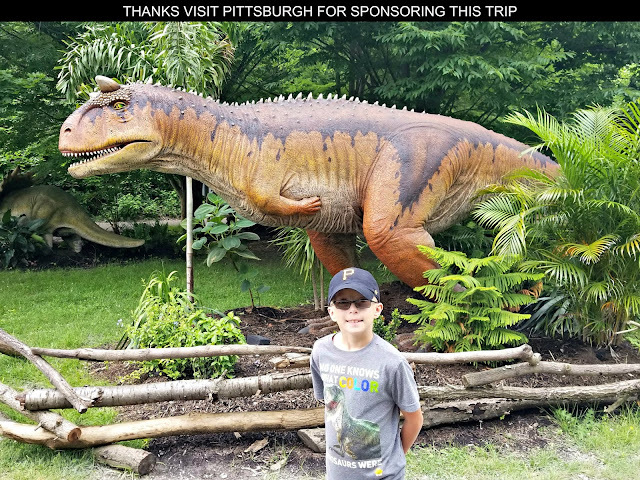 Membership also includes special offers from the Cincinnati Zoo, Museum Center and Pops Orchestra. The Red Sox have one of the most expensive Kids Clubs to join in Major League Baseball. They also hand down have the coolest and best swag of any Kids Club. 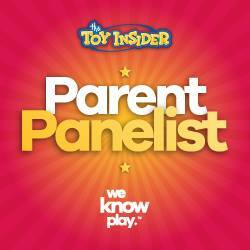 They have three different categories (6 & Under, 7-10 and 11- 14) to meet the needs of different aged kids. Preschoolers get a Red Sox branded Tee Ball Set in their membership kit. Older kids get a baseball and batpack. All categories include a Kids Nation exclusive Franklin glove sized for their age group. Other perks include the chance to watch pregame batting practice on the Green Monster and invitations to exclusive members-only Kids Nation events. Plus membership includes shipping of the goodies mentioned above straight to your house for you at no extra charge. Cheering on your favorite Major League baseball team can be a great bonding experience for parents and kids to do together. MLB Kids Clubs can be a fun way to introduce your children to the team you cheer for and encourage them to become a fan themselves. It is not a stretch to say these seven Kids Clubs are great to be a part of. While ageekdaddy.com has only highlighted a few teams' Kids Clubs there are a number more of them to choose from. The Atlanta Braves, Detroit Tigers, Houston Astros, Pittsburgh Pirates, Washington Nationals and a number of other teams have decent Kids Club that just didn't make the cut for this list. Check out your favorite team's website and see if you like what they have to offer.